Learn balance skills, navigation, ocean currents and paddle strokes. 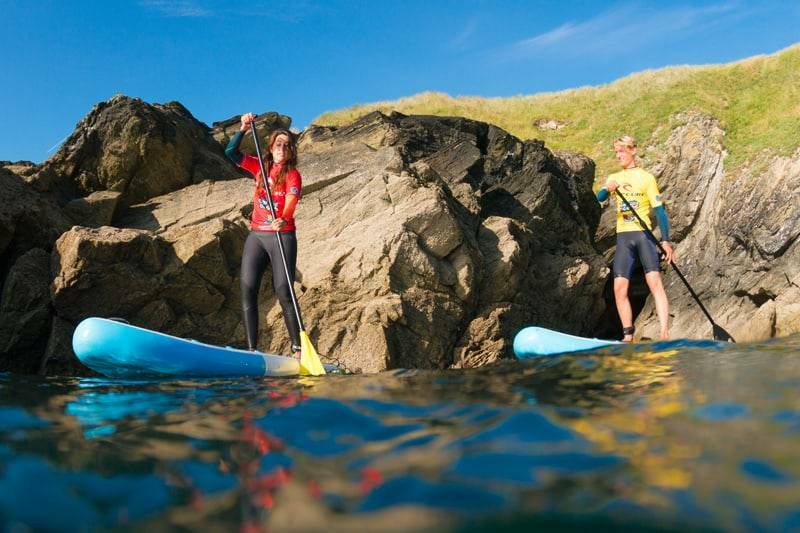 Command and paddle your own craft on an exploration of Newquay’s most rugged, inaccessible and historic stretches of coastline with Newquay Activity Centre. With routes specifically designed for military participants, the challenge is to master the art of stand up paddle boarding using brain and brawn, as well as testing your command and control with various missions along the way. The latest addition to the MEL, our Military SUP Adventures will see you navigating the dark caverns and natural rapids along Newquay’s rugged coastlines. You will learn to launch the craft, then knee paddle. When you have built confidence you will learn to stnad up paddle. Then comes paddle strokes and navigation. Our HQ on Towan Beach is in the ideal location for the activity briefing before launching your craft. From there, the challenge begins with independent tasks along the coastline. Newquay’s cliff line is a hotspot for biodiversity and historical legend; one side open to the powerful Atlantic swells and the other sheltered with deep smugglers caves. The military SUP should be part of any MEL and is guaranteed to physically test your team in a fun yet challenging adventurous environment. Newquay Activity Centre in Cornwall is a certified Surf England Centre of Excellence and notorious provider of military adventure activities. You are guaranteed the highest quality coaching in the industry with our professional team of instructors. Our expert team will led you through our Military SUP Adventures and work with you to create the best AT program for your group. Call 01637 877722. Risk assessments available on request.